Outport blocks link signals from a system to a destination outside of the system. They can connect signals flowing from a subsystem to other parts of the model. They can also supply external outputs at the top level of a model hierarchy. It automatically numbers the Outport blocks within a root-level system or subsystem sequentially, starting with 1. If you add an Outport block, it is assigned the next available number. If you delete an Outport block, other port numbers are automatically renumbered to ensure that the Outport blocks are in sequence and that no numbers are omitted. Outport blocks in a subsystem represent outputs from the subsystem. A signal arriving at an Outport block in a subsystem flows out of the associated output port on that Subsystem block. The Outport block associated with an output port is the block whose Port number parameter matches the relative position of the output port on the Subsystem block. For example, the Outport block whose Port number parameter is 1 sends its signal to the block connected to the topmost output port on the Subsystem block. If you renumber the Port number of an Outport block, the block becomes connected to a different output port. The block continues to send the signal to the same block outside the subsystem. 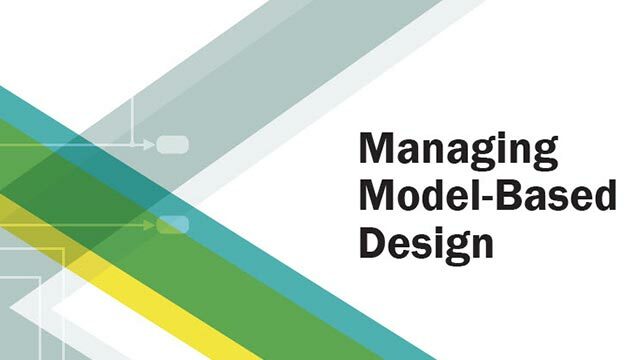 Reduce signal line complexity and clutter in a block diagram. Make it easier to change the interface incrementally. Allow access to a bus element closer to the point of usage, avoiding the use of a Bus Selector and Goto block configuration. The Out Bus Element block is of block type Outport. However, there are no specifications allowed on bus element port blocks, which support inherited workflows. You cannot use the Block Parameters dialog box of an Out Bus Element block to specify bus element attributes, such as data type or dimensions. Outport blocks at the top level of a model hierarchy have two uses. 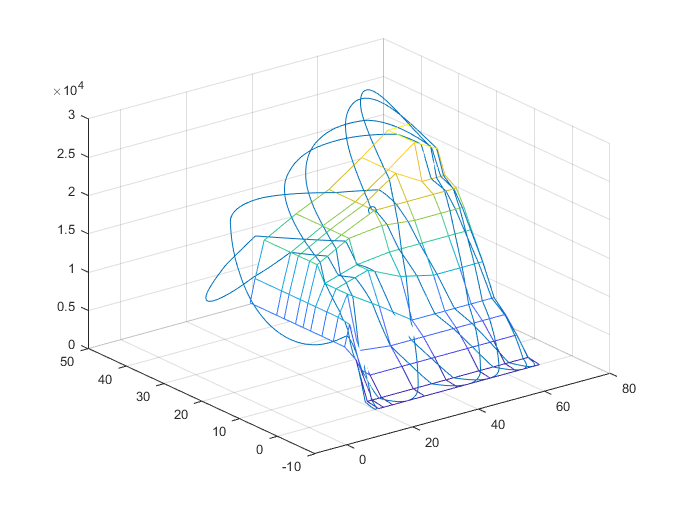 They can supply external outputs to the base MATLAB® workspace, and they provide a means for the linmod and trim analysis functions to obtain output from the system. writes y as a matrix, with each column containing data for a different Outport block. The column order matches the order of the port numbers for the Outport blocks. A root-level Outport of a model can accept a virtual bus only if all elements of the bus have the same data type. The Outport block automatically unifies the bus to a vector having the same number of elements as the bus, and outputs that vector. If you want a root-level Outport of a model to accept a bus signal that contains mixed types, set Outport block Data type to Bus: <object name>. If the bus signal is virtual, it is converted to nonvirtual, as described in Bus Conversion. To associate a root-level Outport block with a Simulink.Signal object, use the Model Data Editor. See For Signals. Input signal that flows through the outport to an external subsystem or model. An Outport block can accept fixed-point and enumerated data types when the block is not a root-level output port. The complexity and data type of the block output are the same as its input. Specify the order in which the port that corresponds to the block appears on the parent Subsystem or Model block. If you add a block that creates another port, the port number is the next available number. Deleting all blocks associated with a port deletes the port. Other ports are renumbered so that they are sequential and do not skip any numbers. Specifying a port number that exceeds the number of ports creates a port for that number and for any skipped sequential numbers. Specify the name of the corresponding signal data in the generated code. Use this parameter to specify a name for the signal data when you apply a storage class to a root-level Outport block. Specify the information to be displayed on the icon of this port. Specify a constant output value to be displayed when source is not connected. Enabled when a non-driven Outport block is in a Variant Subsystem block. Enabled in a Variant Subsystem block on a non-driven Output block. Enabled in a Variant Subsystem block on a non-driven Output block when you select the Specify output when source is unconnected parameter. Clear this check box to specify that Simulink uses a signal buffer on output port. This buffer ensures consistent initialization of the Outport block signal. If you select this check box, Simulink tries to remove the signal buffer. If the signal buffer is not needed, Simulink removes the buffer. If the signal buffer is needed for data consistency and proper execution, Simulink displays an error indicating the buffer could not be removed. Allow partial writes through Assignment blocks. For examples with conditional writes and partial writes, see Ensure Outport is Virtual. Select the source of the initial output value of the block. Select Dialog to specify that the initial output value is the value of the Initial output parameter. Select Input signal to specify that the initial output value is inherited from the input signal. 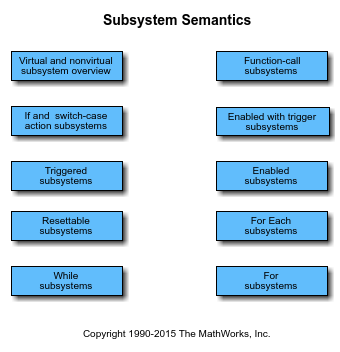 See Conditional Subsystem Initial Output Values. If you are using classic initialization mode, selecting Input signal causes an error. To inherit the initial output value from the input signal, set this parameter to Dialog and specify  (empty matrix) for the Initial output value. For more information, see Conditional Subsystem Initial Output Values. This parameter is enabled when the Outport resides in a Conditional Subsystem. Specify what happens to the block output when the subsystem is disabled. Select held to indicate that the output is held when the subsystem is disabled. Select reset to indicate that the output is reset to the value given by Initial output when the subsystem is disabled. To enable this parameter, select Dialog in Source of initial output value when the outport resides in a conditional subsystem with valid enabling and disabling semantics. For example, this parameter is disabled when the Outport is placed inside a Triggered Subsystem but is enabled when the Outport is placed inside an Enabled Subsystem. If an Outport is placed inside a function-call subsystem, this parameter is meaningful only if the function-call subsystem is bound to a state in a Stateflow chart. For more information, see Bind a Function-Call Subsystem to a State (Stateflow). When connecting the output of a conditional subsystem to a Merge block, set this parameter to held. Setting it to reset returns an error. For conditionally executed subsystems, specify the block output before the subsystem executes and while it is disabled. Specify  (empty matrix) to inherit the initial output value from the input signal. For more information, see Conditional Subsystem Initial Output Values. For information about specifying an initial condition structure, see Specify Initial Conditions for Bus Signals. If the conditional subsystem is driving a Merge block, you do not need to specify an Initial Condition (IC) for the Outport block. For more information, see Underspecified initialization detection. To enable this parameter, set Source of initial output value to Dialog when this block resides in a conditionally executed subsystem. This block does not allow an initial output of inf or NaN. When the input is a virtual bus, an Initial output value  is treated as double(0). When the input contains a nonvirtual bus, Initial output does not support nonzero scalar values. This number must be a finite real double scalar value. Specify the output data type of the external input. The type can be inherited, specified directly, or expressed as a data type object such as Simulink.NumericType. Do not specify a bus object as the expression. Specify the outport bus to be nonvirtual in the parent model. Select this parameter if you want the bus emerging in the parent model to be nonvirtual. The bus that is input to the port can be virtual or nonvirtual, regardless of the setting of Output as nonvirtual bus in parent model. Clear this parameter if you want the bus emerging in the parent model to be virtual. In a nonvirtual bus, all signals must have the same sample time, even if the elements of the associated bus object specify inherited sample times. Any bus operation that would result in a nonvirtual bus that violates this requirement generates an error. For details, see Multirate Bus Input for Referenced Models. For a virtual bus, to use a multirate signal, in the root-level Outport block, set the Sample time parameter to inherited (-1). For the top model in a model reference hierarchy, code generation creates a C structure to represent the bus signal output by this block. For referenced models, select this option to create a C structure. Otherwise, code generation creates an argument for each leaf element of the bus. To enable this parameter, select Data type > Bus: <object name>. Specify the physical unit of the input signal to the block. To specify a unit, begin typing in the text box. As you type, the parameter displays potential matching units. For a list of supported units, see Allowed Unit Systems. Specify the dimensions that a signal must have to be connected to this Outport block. A signal of any dimensions can be connected to this port. The signal connected to this port must be a vector of size N.
The signal connected to this port must be a matrix having R rows and C columns. Specify the type of signals allowed out of this port. To allow variable-size and fixed-size signals, select Inherit. To allow only variable-size signals, select Yes. Not to allow variable-size signals, select No. When the signal at this port is a variable-size signal, the Port dimensions parameter specifies the maximum dimensions of the signal. Specify the discrete interval between sample time hits or specify another appropriate sample time such as continuous or inherited. By default, the block inherits its sample time based upon the context of the block within the model. To set a different sample time, enter a valid sample time based upon the table in Types of Sample Time. Specify the numeric type of the signal output. To choose the numeric type of the signal that is connected to its input, select auto. Otherwise, choose a real or complex signal type. Use a dynamic comet plot to visualize the result of changing the interpolation and extrapolation options for a 2-D data set running in an-D Lookup Table block. Algorithm options can be employed in different situations to tradeoff accuracy, smoothness, data size, and performance. For information about HDL Code Generation, see Outport.